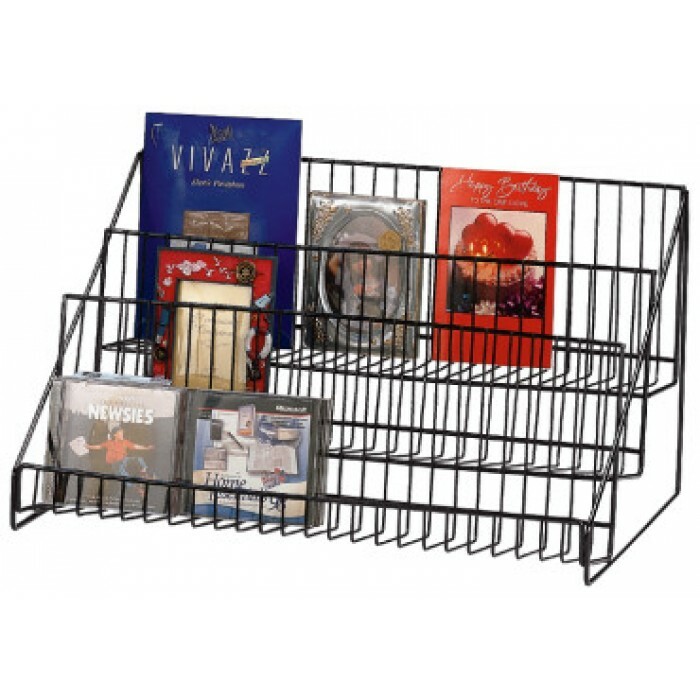 Three open shelves clearly showcase DVDs, CDs, books, videos and many other items while saving counter space. Three-step design allows for easy viewing of all merchandise so you can sell more products. One solid piece—no assembly needed. Black powder-coat finish. Dimensions: 12-3/4 "H x 23-1/2 "W x 14" deep.